On a sun-dappled lot in a wonderfully tucked away lakeside neighborhood, this spacious Colonial is the ideal home for comfortable living and entertaining. It all begins in the marble foyer with French doors to a study and views of the living, dining, and sunrooms, all with wood floors. The granite kitchen beyond features a Thermador range, counter seating at the island, and sliders from a casual dining area that open to a stacked stone patio with its own wet bar, one of two. The second wet bar is in the partially finished basement for popcorn and movie nights when not congregating around the gas fireplace in the vaulted, sky-lit family room. A full bath and home office in the basement allow for easy work from home days. On the second floor, there are four lovely bedrooms. The master shows off an attractive 5-piece bath and huge walk-in closet. Three other bedrooms share a hall bath. Enjoy organic herbs and vegetables all summer long from neighboring Blue Moon Acres. 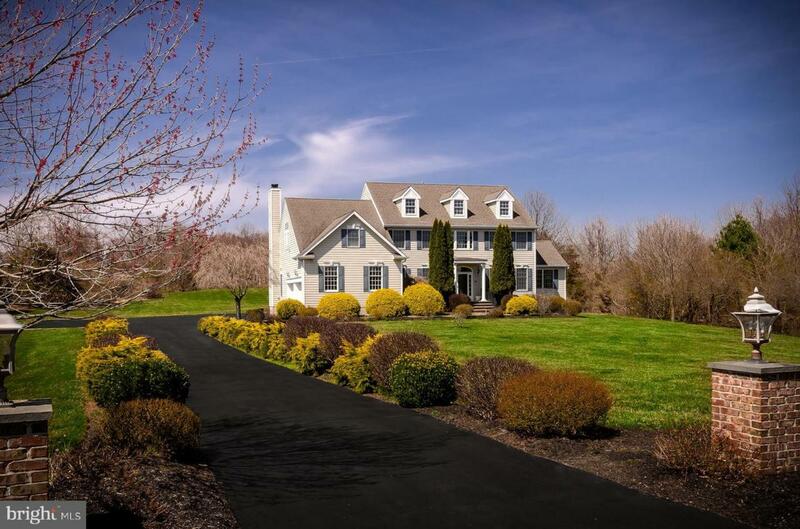 Close to Pennington, Princeton and Hopewell Valley schools!